The crew's stranded! Can Captain Viridian find enough energy cells in the Tower of Power to save them? 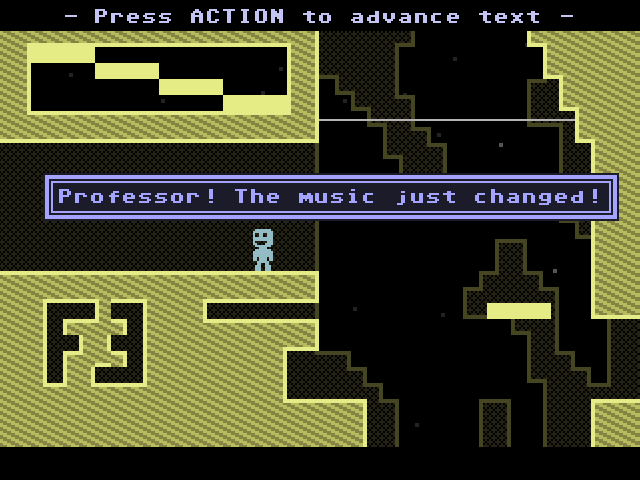 A fairly large, fairly easy level with a ton of scripting and a few unusual twists. 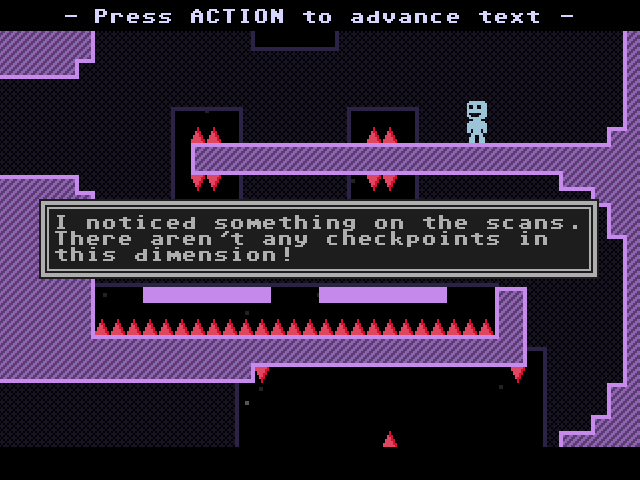 The single best thing about VVVVVV – the thing that made it work, I think – was that it had instant restarts from checkpoints all over the place. You could tackle incredibly hard challenges and failing wasn’t a problem, since you were straight back in there for another go. Yeah, I’m doing things a bit differently. 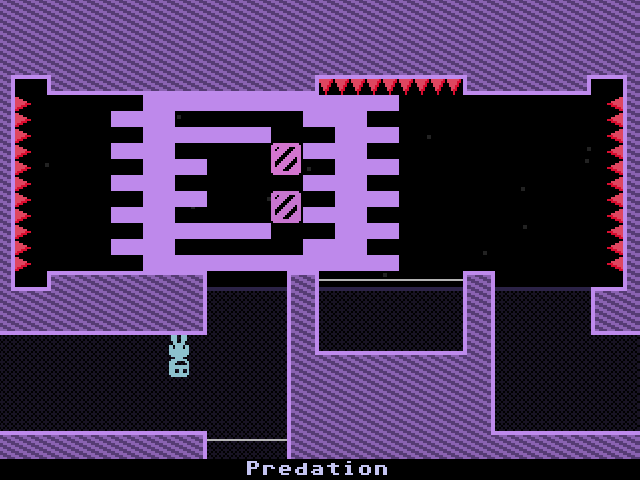 The level's built up from several multi-screen challenges off a central hub. 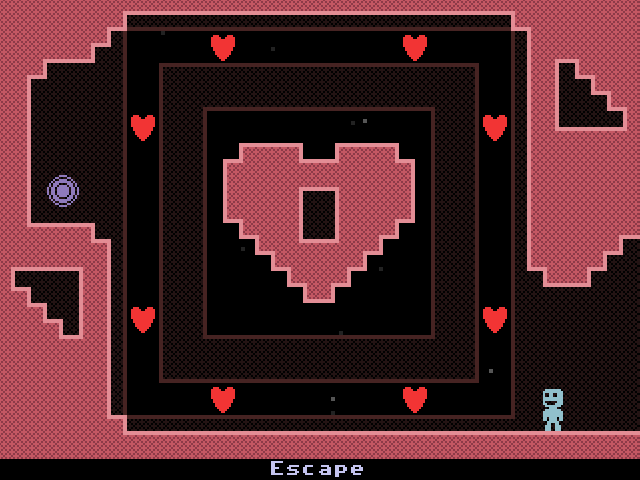 The levels aren't that tricky, so take your time, plan ahead and you should do OK! What surprises lurk at the top of the Tower?